SMB on Compton's comment: "It is unfortunate"
 Home  basketball  PBA  San Miguel Beermen  SMB on Compton's comment: "It is unfortunate"
MANILA--Ahead of its Philippine Basketball Association season debut, San Miguel issued a reaction to a comment made by Alaska head coach Alex Compton. 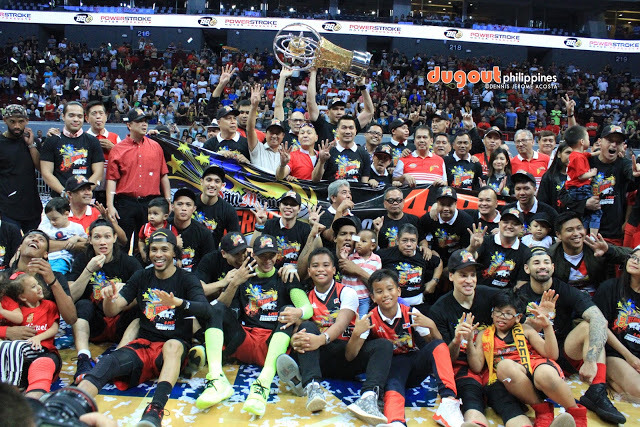 Compton, in a report by the Philippine Daily Inquirer, said "Kawawa ang liga" when he made an observation about the powerhouse Beermen, who were in two of the three conference finals last season, winning it all in the Philippine Cup. "It is unfortunate that Alaska team head coach Alex Compton had to make a statement against the Beermen and the league when he actually traded away competent players like RJ Jazul and Calvin Abueva," the Beermen said in the statement. "As the flagship team of the San Miguel Corporation (SMC), it is incumbent upon the Beermen to keep on improving its team lineup every year to make it even more competitive and win more championships for the benefit of its fans who expect nothing less." SMB also made it clear that its latest acquisition, Terrence Romeo, "was offered to all the PBA teams before he was traded to San Miguel Beermen." The team added, "Despite Mr. Compton’s unnecessary remarks, we are still excited about what the future holds for PBA, our teams and the fans." The Beermen are playing the Columbian Dyip at the Cuneta Astrodome in Pasay later Friday.